Following BHS' journey toward becoming state champs. Allain Arenas (’19) leading the varsity football team to victory. Photo courtesy of Greg Nelson. A factor in their success has been the team’s very strong bond this season. However, it isn’t just the players who lead the success. The coaches, trainers, and fans have also played a large role in the season’s outcome. The football coach, Mr. Tom Bainter, encourages the boys to “turn your weakness into your strength.” His advice has stuck with the team and pushed them to try their hardest. 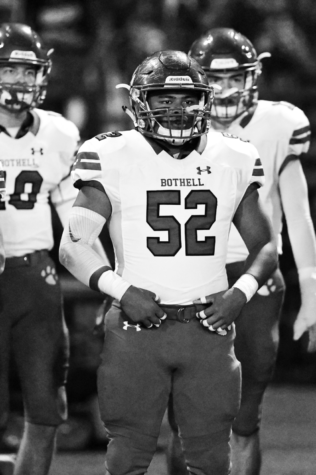 Together, Bothell High School and the surrounding community has helped to bring the football team to the level of success they have achieved this season.